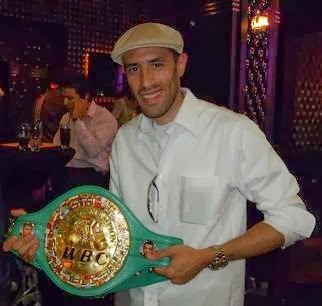 Keys to the fight: (Kessler) Kessler needs to put enormous pressure and establish his left jab to keep Ward from dictating the pace of this fight with his skillful boxing ability. Ward has faster hands, but Kessler's hand speed is vastly underrated. Kessler has the edge in power and if he can impose his will successfully on Ward, he can defeat him. Kessler also has the edge in experience because he has fought better opposition such as Anthony Mundine, Eric Lucas, Markus Beyer, Librado Andrade and perhaps the best super middleweight of all time, Joe Calzaghe. Keys to the fight: (Ward) Look for Ward to use angles and a lot of movement against Kessler. If Ward can use his boxing ability to keep Kessler turning and not set to punch, it will enable him to land accurate combinations. Kessler does not fight well backing up and he will be the aggressor. If Ward can execute a game plan of sticking and moving, he will take Kessler's strength away from him because Kessler will not be able to land his power shots. Ward's most notable opponents have been Jerson Ravelo and Edison Miranda. Ward doesn't possess the professional experience of Kessler, but is a very intelligent fighter, who has been getting better with each bout.